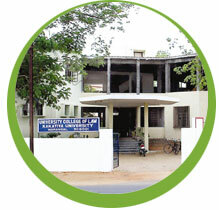 The department of Law is established in the year 1980 with a built-up area of 789.96 sq.mt in the university college campus and is currently headed by Dr.Ranga Rao. The department have academic, administrative and financial autonomy. The department is equipped with advance facilities such as Advanced Public Address System, Television, Over Head Projector, Computer facility.